2018 Pinterest Strategy That Increased My Pageviews From 0 to 225,000 In 4 Months! This post DOESN’T contain affiliate links so you may relax and learn how I scyrocketed the traffic to my website from 0 readers as of March, 1st to 45,000+ readers by the end of April. 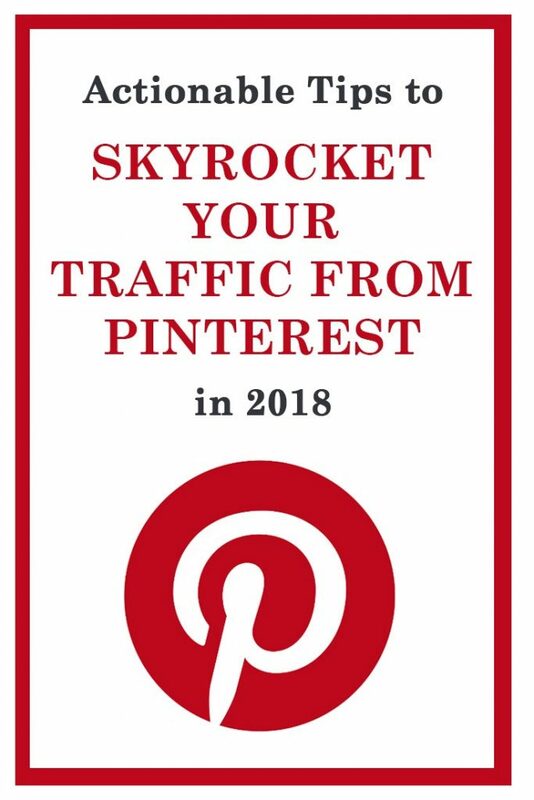 Turned out Pinterest is an amazing tool for driving massive traffic to your website and 45,000 a month I was so happy about was just the beginning! Having right strategies of using Pinterest at hands, you won’t believe how extremely easy it is to get hundred thousands of readers monthly (providing your blog has great content, of course). So how did I do this? Easy! Just follow the steps I share below and you will be able to do this, too! I still use this strategy and it never failed me. Curious? Then read on (and pay attention to the updates throughout the article)! Three months ago I had no idea what Pinterest was about, how it worked and why I even needed the account. Then I stumbled upon a blog post from one blogger who said she gained thousands of steady traffic using Pinterest alone. “Get out of town! You have got to be kidding me”, – that’s what I thought. Then I went to Pinterest to check on my account. It was crapy, as if I didn’t have one! (now I know it for sure). I wish I made screenshots of how it looked like in the beginning. I didn’t have a proper photo, nor did I bother with my profile description. Keywords? Who needs this stuff? I had 3 boards with silly names I didn’t even know why I created them. That was about it! If that sounds like something that you have, it’s essential for you to read this post, because I will turn your world over by the time you’re done. In case you already have a good Pinterest profile and just wanna check if you missed anything, go ahead and read what I’m going to say. This article will be helpful for everyone, I’m sure! For the first couple of weeks I was investigating the whole new world of Pinterest and its endless opportunities. I have to be honest with you. I’ve read tons of tips for boosting Pinterest traffic when I just started to work on my Pinterest account. I was searching for nice pins with thousands of re-pins thinking that these bloggers might have great trust and some excellent advice for people who want to be good at Pinterest traffic-boosting game. Some of them do have great advice. But mostly, people who write all these posts are engaged in an empty talk where somewhere on the fly they are trying to sell anything they can to you, like Tailwind or BoardBooster (that you actually don’t need), e-courses (when there are tons of helpful THE SAME information available for free), books about Pinterest success, and so on and so forth. This is what all posts like that are about. They’re about hooking you for opening your wallets wide. And that just PISSED ME OFF! Let me be clear. I don’t judge bloggers, nor am I against including affiliate links or personal products into the posts, because that’s actually one of the best ways to make some money from your blog. What I don’t like is too much of an empty talk, like learn these 80+ tips that will boost your Pinterest Traffic. You don’t need these 80 tips. This is SO overwhelming. Especially for a newbie to Blogging and Pinterest. Do several actions on a daily basis to grow the number of people you reach, which helps your pins get multiple repins and result in boosting traffic to your website. And I’m about to tell you POINT BY POINT how to successfully manage these two steps. I am NOT going to sell ANYTHING to you! I just want to help you and save your time. Because I know how hard and frustrating it might be when you are searching for helpful knowledge and find nothing worthy. So I am about to share things that changed the game in Pinterest for me. Just because I want you to succeed in Pinterest, too. And see how actually fun and easy it might be. I started my Pinterest account in the beginning of March. The stats below shows the time period from March, 21 to April, 30. You see that I know what I’m talking about. Can I share my Pinterest secrets with you now? Go here to make it from a scratch or just switch your usual account to a business one. You can do it in settings of your profile. I personally think that the close-up shot of your face is best, because it means that your account is personalized and the audience understands who it is dealing with. Judging from my experience, I would rather follow a profile with a nice photo on it than a logo. The same is with the name. Don’t call your profile your brand’s name. Make sure to put YOUR name first, plus add keywords that describe best what your account is about. I could have been just “Jane Rudenko” or “Trip to Motherhood”, but neither contain keywords that I need. All these keywords are essential in my niche and can help me bring more traffic. The main idea of my blog is to make breastfeeding easy for many women who struggle with it or just want to know more about the process. So I consider my initial niche to be breastfeeding. What I did on Pinterest is I went through the search results to find all these narrow keywords in my niche and created a board for each of them. I now try to pin to this boards every single day. This is how my profile looks like. The first place takes the board with the pins from my website. The following boards are those with narrow key words on the topic. Then I added wider keyword boards, like motherhood, parenting, postpartum, baby care, healthy lifestyle, etc. Following goes the boards that are popular throughout the seasons. My profile is finished up with group boards. I didn’t do board covers because I personally think they are not that necessary for increasing traffic. 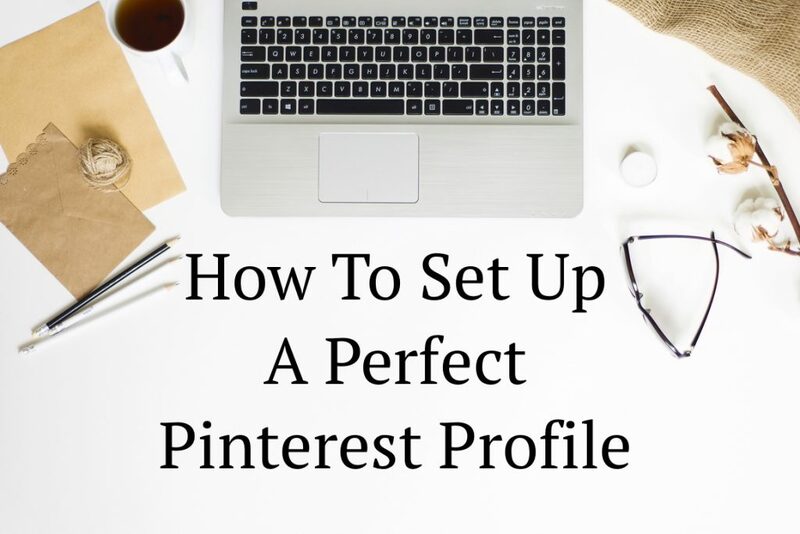 Yes, they look beautiful and make your profile visually more appealing, but I am convinced, the traffic you get from Pinterest does not depend on how your boards look. More importantly is what your boards consist of. The high quality content is what actually changes the game! There is an option to “Sort boards” in the right corner of your profile (if you are using Pinterest from your laptop). Chose “drag and drop” to sort your boards and put all Niche boards, including the one with pins from your website, to the top of the page. Leave group boards at the bottom. Use Pinterest search to find all keywords in your niche. In the pop up menu below the searched word you will find hints on words that match your search result best. It means that people use their combinations frequently to find pins on that topics, so make sure you put them all in the description for the boards. Some bloggers advise to have at least 50 pins in the board before hitting the “make it public” button. I could even go with 10. As long as you add pins to it on a daily basis, you’re good to go with less than 50. When you’re pinning you have to think ahead of time. Pin now things that will be popular in a couple of months. Like pinning everything about Valentine’s day in December and January or pinning about the celebration of July, 4th in May. Plus, watch for trends, important keywords, and popular topics. I’m not going to dive deeply into that. You can just google it. Start with: “What to pin in (month)” or “Pinterest Trends in May”. Explore. Study the topic through. Saving popular pins is crucial. It will bring your profile to the higher level of the outreach. Step 2. Go to Pinterest’s Rich Pin Validator ,plug in a link to any blog post on your site (except from your homepage) and click “Validate”. Step 3. Apply! After validating, you should see a message that says “your pin’s been validated!” Then, click “apply now.” A pop up will come up with your website’s domain and “HTML tags” selected. Click “apply now” once again. Congrats, you’re done! Update: It seems that 15 pins is okay, too! The theory is this: you should save 10-20% of your pins for all others you pinned through the day. So let’s say you saved 30 pins. It means that you have to add 3-6 of your pins. I don’t always adhere to this number, but I try to save at least 2-3 pins from my blog daily. What if you don’t have that much content on your website? I hear you. I’ve asked myself the same question. Because this is my problem. My blog is fairly new and I don’t have many articles in it. What can I do? Instead of making 2 pins for one article, I’m making 10! Bare in mind, pins should be either catchy, or contain helpful information so that your readers would be willing to save them to their boards. Update: when you grow you Pinterest account up to a couple thousand of followers and have at least 25 articles on your website, you may start pinning your content more often. Make sure to have multiple pins for one article and write different description for them in order not to look like you’re spamming. The records show that Pinterest is all about pictures with natural colors. People like them, people save them. But you are welcome to try bright colors as well. Chances are, your pin will stand out in the feed and catch the reader’s attention. I have either options. Both work great for me. I’m constantly trying new colors, new styles, new writing. I like to experiment and see what goes best. As of today, I’ve got one pin that has over 1K repins and as you can see, it’s been made with natural colors! Headings are also important. They have to be either useful or provocative. The answer is: I HAVE NO IDEA! I try them both and see how they perform. One more thing, red color of the headings gives the best readability. Take it into consideration. Do it right after you saved the pin from your blog to the main board with your content. The more repins you’ll make in the first few minutes, the more noticeable your pin becomes for Pinterest algorithm. It then considers your pin is worth spreading, thus it will be shown in the related feeds. Update: start from the most relative board. Then spread it to all related boards. What is better: save your new pin to 20 relative boards at once or do it gradually? I do both! Try it and see what works best for your account and audience. The same idea. The more popular the pin is, the more chances it brings new audience to your profile and they will be willing to subscribe to your boards (or at least one of them) and save your content to their boards. ALWAYS CHECK WHERE THESE PINS LEAD YOU TO! Sometimes I see a great pin (usually it has a nice clickable design and is loaded with helpful information and even sometimes it has thousands of repins) but I click on it and it takes me to an absolutely unrelated content and the website that is trying to sell something to me. This is not nice. If you don’t feel good about it, neither will your readers. Nobody likes spammy content! So why does this kind of pin have thousands of repins, if it takes you to spam? The answer is simple. People use this trick with helpful info (like infographics or just pins with some useful information on them) to get to the readers. What happens? So my advice is to ALWAYS check the link and even better – read the article on the website and save the pin only in case you like it. If you don’t have that much time to check for all the articles, at least check for the link (whether it’s broken or not) and the destination it leads you. I’m not sure about the exact way how it works, but if you have many pins with broken and/or spammy links in your boards, Pinterest will not trust you anymore and won’t spread your content even if you have all the keywords in the world written everywhere! So bare that in mind. I have to be honest with you, I’m not very consistent in this particular thing, but it always performs great and I see results. I add people to my friend list from my topic-related group boards or successful mom bloggers. I always see the increase in repins of my content when I send friend requests. Update: I stopped adding new people as soon as I had my first viral pin that brought over 1,000 subscribers to my account in a month. They start growing naturally as the time went on, so now (September, 2018) I have about 5,000 subscribers, whereas in April I had about 200. I cleared my friend-list and unfollowed all accounts that I found irrelative to my niche. (You would want to be subcribed for people who are in the same niche as you are). This is not a necessary option but sometimes it helps people find your account and if they like your content, you’ll have a nice boost in subscribers. I don’t leave comments every day. I haven’t done it for quite a while, to be fairly clear. But in the beginning I beat the bag out of anything showing some positive results. Consistency is the key to success when we talk about Pinterest. Actually, when we talk about any success what-so-ever! So try to make pining your daily habit. At first, you can set alarms during the day not to forget that you need to pin. It will take for a while to get used to it. As soon as you see the result with a traffic boost, you’d be willing to pin more and more MANUALLY every single day, because it will get even better. I promise. But I trust my intuition here. And my Pinterest Stats says it all. I have 350 subscribers, 1.1 million outreach, my pins are saved on a daily basis and I have stable traffic coming to my website from 1500 to 4000 people A DAY! Isn’t that A GREAT RESULT? I am more than happy with it. And I continue to explore what else I can do to perform better in Pinterest. The BEST thing is that the numbers are CONSTANTLY GROWING! Yes, there are days when I have a slight decrease in traffic (down to 1.5K) but the general picture is that all numbers are growing and where there is a decrease in traffic, there will surely be an upswing and I’ll get 4K traffic daily with hundreds of re-pins. As you can see, I’m doing great without Pinterest schedulers, e-courses and books. So can you! I have no intention to sell these things to you. Because I don’t believe they are worth spending money for. Yes, I won’t earn any commissions from this post. But I don’t want to. I don’t have any intentions to sell things I don’t believe in. Pinterest is easy, simple and fun. 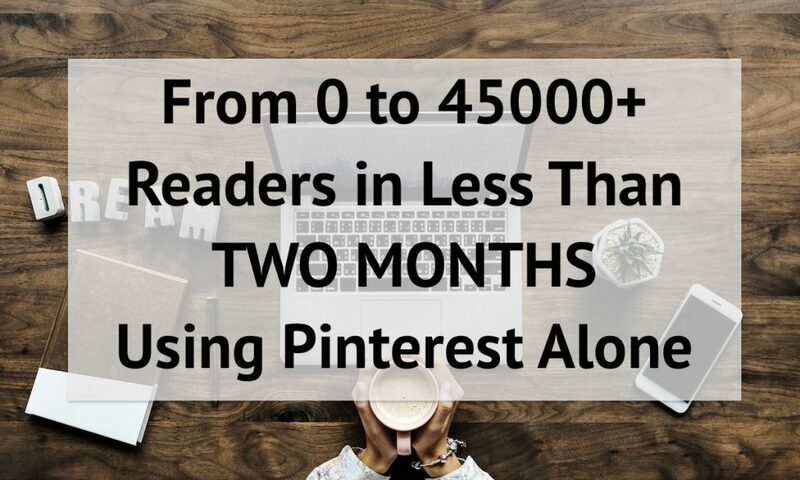 If I managed to grow my account from a scratch into an eye-catching business profile with over 1 million outreach, knowing nothing about Pinterest (seriously, I had zero knowledge), you will, too! I have no doubt in that. I just LIKE pinning. Because it’s fun. You find so much new stuff in Pinterest. It’s like investing time in your self-education, which is nowhere around boring. Where in the process you help people (your subscribers) to get quality content and safe time for searching for information they need. Isn’t that great? You bet it is. Sharing is caring! Pin it if you like it. Bless you, you incredible human!! I’ve also been resisting investing in Pinterest courses and annoyed by constantly being sold to. I’ve been focusing on following more people on Pinterest over the last few days and have noticed a small uptick in my reach. Thanks for these tips! I’ll definitely be working through them this week! Thanks for your sweet comment. I had a quick look at your website and Pinterest account. I think you’re doing great! 🙂 Just don’t give up! Blogging is hard work that requires a lot of time and consistency. If you realize this, you’ll succeed anyway. Hard work always pays off 😉 Hope my advice help you gain more Pinterest followers and traffic. Thanks for these helpful tips! I’m also new to this whole blogging trade and anything helps. You’re totally right about the upselling. I do use Tailwind, and I would say it has helped me. I particularly enjoy the scheduling ahead as my little gal doesn’t give me much time on Pinterest. Nonetheless, your advice is awesome! Keep up the great work! Nice strategy you got there but I am stuck on the plugins part. I can see you are using a social plugin which appears when I hover on an image, how do I do that, could you explain or point me to a resource that explains how to do that. I’m pretty sure if you go for “Easy Social Share Buttons” or “Custom Share Buttons with Floating Sidebar”, you will get exactly what you are searching for. Thank you so much for this helpful post. I have just started blogging and I am a stay at home mum to my 1 year old so I don’t have loads of time or money to do courses about Pinterest. This post has answered a few of my questions without me having to pay out or spend hours watching videos for tips to increase my blog traffic.